Home Students Corner Are There Two Sides of Sports? Are There Two Sides of Sports? There are many sports in this world that are more noticed by the sporting industry and some that are not. Some may be seen as fun and exhilarating, but others may be seen as boring and/or pointless. However do we think that the ones that are not recognized should be? 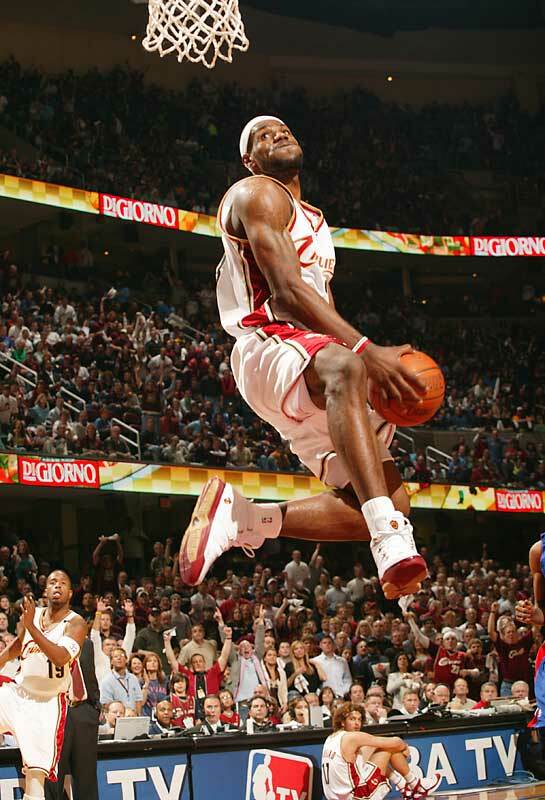 Basketball is one of the most popular sports ever; the 3rd highest paid athlete is a basketball player, LeBron James (according to Forbes). Basketball is a very technical sport and involves a lot of training. On average, basket players train for up to 2 hours a day, which one can argue is very vigorous training. However, if we look at other sports, such as gymnastics, this is less than half of what they do per week. Another well-known sport is boxing. 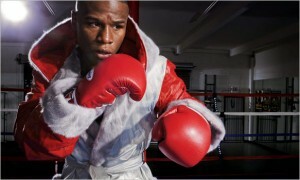 Currently, the most paid athlete in the world is a boxer called Floyd Mayweather (according to Forbes). Boxing is a very active, but violent sport. Boxing is one of the sports that may be looked down on by parents due to the physical contact it has. This sport is one of the sports that I feel deserves the amount of industry attention it receives because of the time and effort each boxer and coach puts into training. An average boxing training regime may be up to 2 ½ hours per day or twice a day; this may seem very short however the training is explosive and dynamic. Today, many children, especially boys, will believe that football is the best sport. Maybe because it looks fun, easy, it is very well paid and it is highly popular. The injuries that a footballer can develop are not really seen, and the injuries that may occur can seem very mild; such as an ankle sprain. Football seems more approachable than other sports like gymnastics. Gymnastics is a very technical sport and needs a lot of dedication and time. The average gymnast, level 5 or 6, will train for 4-5 times a week which adds up to14-16 hours per week. Whereas an elite gymnast will train for approximately 6 times a week making up 30-40 hours. The injuries from gymnastics are very dangerous compared to football. For example very common injuries in gymnastics are Labral Tears or many lower back/region injuries. Although the injuries are horrible, the outcome is very big. I couldn’t seem to stop thinking how unfair it was that the sports that carry the most skill and usually produce the most injuries were less recognized. Gymnastics is a very self-rewarding sport, which I believe should be covered more in the media and more students should be encouraged to partake in it as it teaches them to reach further. I did gymnastics for 12 years, I am now 14 and the journey was hard, but very enjoyable. During my time of being a gymnast I have made lifelong friends, won many medals and trophies, however I did get the occasional injury. My worst may have been, hitting my shoulder on the end of the beam whilst doing back-tuck; regardless of this I still continued and was still able to compete and win some competitions. I stopped gymnastics 2 years ago because during the process I was also training for athletics. There was a big change as athletics training is not as vigorous and the hours were shorter, however the biggest change was that athletic competitions seem to be more noticed in the sporting industry. Even though being noticed is very lovely, I couldn’t seem to stop thinking how unfair it was that the sports that carry the most skill and usually produce the most injuries were less recognized. 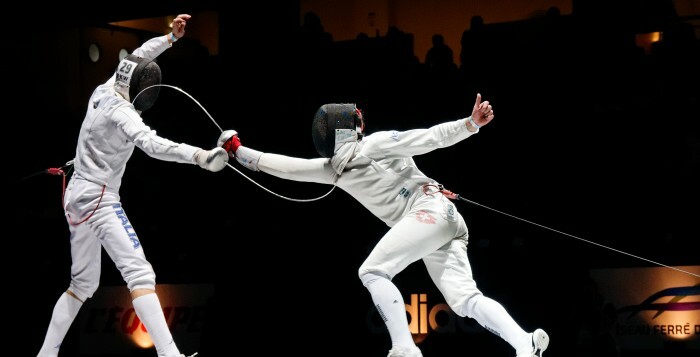 Fencing is another sport that doesn’t carry the same recognition as athletics. Fencing may be seen as trying to hit the opposing person before he/she hits you. However there are more rules and technicalities than just that. The sport is very unique and although it may seem boring at first, it is very thrilling to watch. There are 3 types of fencing: Foil, Sabre and Epée. Each different one has a different weapon and completely different rules. 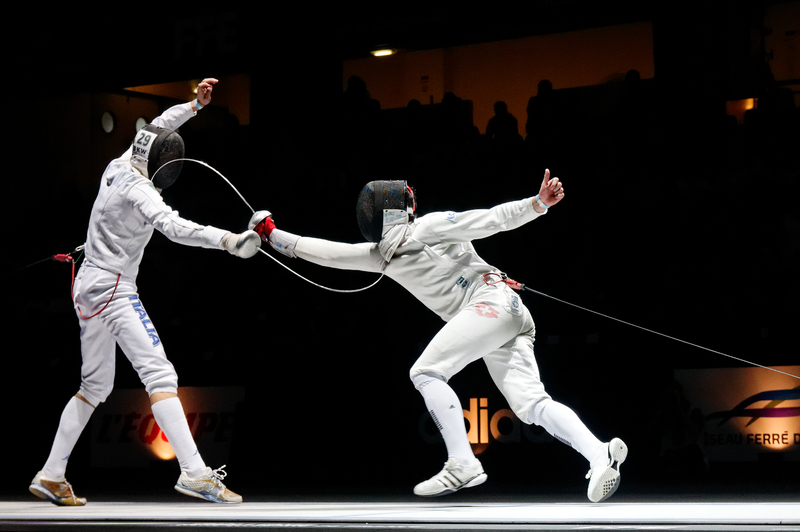 For example in Foil the fencers can only hit the torso where as in Epée everywhere is accessible. In addition, this sport is a very good workout; it is practically doing exercise in squats for approximately 5-10 minutes. The injuries in fencing are also very nasty and cause a big bruise that may stay for a long period of time. I do believe that fencing should be more acknowledged. In conclusion, I believe that all sports should be seen as equal and none should be seen as pointless because everyone puts their own time and effort into it so they should be noticed. Do you agree with my opinion? Should all sports be equal and all recognized; or do you think that may not be physically possible? ~Zoe Thompson is a Year 10 student at Brentwood School. She currently competes as an under 17 athlete in Heptathlon, 300m, and triple jump.